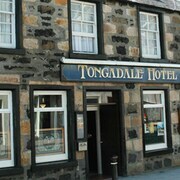 Situated in Portree, this hotel is steps from Somerled Square and Portree Harbour. Old Man of Storr and Skye Riding Centre are also within 12 mi (20 km). Breakfast was convenient and room was warm. The location was walking distance to alls hops and restaurants. Where to find Broadford hotels near an airport? Where can I find hotels in Broadford that are near tourist attractions? 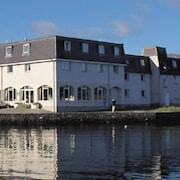 So, are you traveling in Inner Hebrides and Isle of Skye and want to book a room in Broadford? About 2 hotels lie within a 0.1-kilometre (0.06-mile) radius of the center of Broadford. Travelers searching for a place to base themselves that is close to the heart of Broadford should look no further than the Dunollie Hotel. 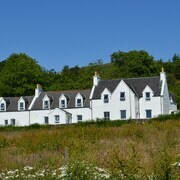 You could check out the Duisdale House Hotel and the Toravaig House Hotel. 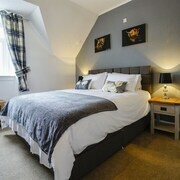 The Duisdale House Hotel can be found 11 kilometres (7 miles) from the main part of Broadford. 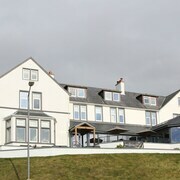 The Toravaig House Hotel, is located 14 kilometres (9 miles) away. 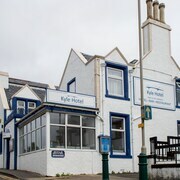 Two other Expedia-listed hotel options worth checking out around Broadford are the West Highland Hotel and the Kyle Hotel. Looking for more to do? Consider spending a day or two discovering An Sgurr and Galmisdale Harbour, which you'll find in Isle of Eigg, 40 kilometres (25 miles) to the south of Broadford. Isle of Eigg accommodation options include the Glebe Barn Annexe - Tigh Ard Beag and Glebe Barn - Hostel. Alternatively, you could stay in Tobermory, 70 kilometres (43 miles) to the south of Broadford, where you can choose from the Park Lodge Hotel and The Western Isles Hotel. Should you choose to stay in Tobermory, set aside some time to visit the Ardtun Peninsula Leaf Beds and Mull Theatre. If you love sports and love watching local games you could make a trip to Atlantis Leisure, which is 95 kilometres (59 miles) to the south of Broadford. For visitors who are interested in booking a bed close by, make a reservation in the Best Western The Queens Hotel or Oban Bay Hotel. Look up Expedia's up-to-date Broadford travel guide and discover the great visitor attractions this part of the world has in store. 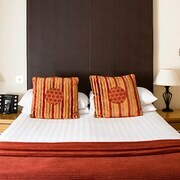 What are the most popular Broadford hotels? Are there hotels in other cities near Broadford? 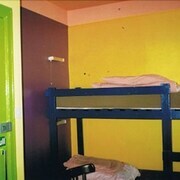 What other types of accommodations are available in Broadford? Explore Broadford with Expedia.ca’s Travel Guides to find the best flights, cars, holiday packages and more!